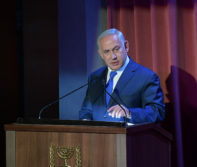 Netanyahu, in his response, called Nasrallah’s words “arrogant” and noted they struck a different tune from what Nasrallah himself has said in the past. “This comes from the same man who said after 2006 that if he had known what Israel’s response would be to the abduction of three of our soldiers, he would have thought twice about doing it,” said Netanyahu, referring to the Second Lebanon War that began with Hezbollah kidnapping Israeli troops. Israel’s efforts to stop Hezbollah from acquiring advanced weapons reportedly was recently intertwined with the shooting down of a Russian plane in Syria by Syrian fire. The Israeli military, in a series of tweets to the IDF Spokeperson Twitter feed on Sunday, summarized their After Action Review on the incident, in which they noted that Israeli planes were not to blame.